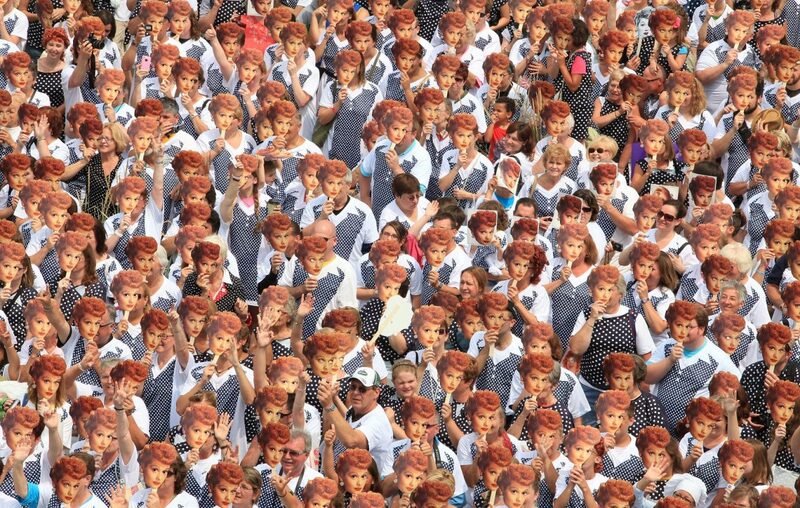 Lucille Ball had a dream. She envisioned a festival of contemporary comedy being held in her name. But the madcap heroine of "I Love Lucy" might not have imagined the scope of the annual Lucille Ball Comedy Festival, held annually since 1996 in Jamestown, where she was born on Aug. 6, 1911. The festival centers on the Lucille Ball Desi Arnaz Museum, home to tons of "I Love Lucy" memorabilia – including a reproduction of the Tropicana Room, Ricky Ricardo's nightclub. But the event takes over the whole town. It features big-name comedians. This year's festival, happening August 3-6, has a lineup including Jim Gaffigan, Robert Klein, Lewis Black and Lisa Lampanelli. Even better, you can stomp grapes as Lucy did in one memorable episode. You can wrap chocolates as Lucy and Ethel did, putting their own twist on an old vaudeville joke. You can even record a commercial for Vitameatavegamin. What's not to love? Small wonder that, in 2016, the festival welcomed visitors from 41 states. One of them was a writer from the New York City area, Lisa Iannucci. Iannucci, who writes a travel blog called thevirgintraveler.com, had always both loved Lucy and looked up to her. "I always wanted to be a screenwriter, a TV writer," she explained. "I always looked at her paving the way. I'm 52 now, and growing up, it was harder to break into the business than it is now. She was like a role model. "When I was watching her, growing up, I always wanted to do what she did," she said. "I would literally pretend I was doing the Vitameatavegamin commercial. I wanted to go stomp on grapes, thought, it would be awesome to do that! Four, maybe five years ago, I heard about the festival. I couldn't wait to go, but money – life – kept getting in the way." Finally, last year, she made it. "Everything just aligned," she said. "I'm like, that's it! I'm going! I went, and it was so emotional. Because everything I always wanted to do as a child, I got to do." Her husband was a good sport, competing with her as she wrapped chocolates and stomped grapes. "But even if I hadn't had anyone to go with, I would have gone on my own," she said. "If you go by yourself, they would put you up against someone. It was a blast. It was an absolute blast." Iannucci recalled being overcome just seeing Lucy's blue polka-dotted dress in the museum's window. "I think it took me 10 minutes to move away from that dress," she said. " I was thinking, she wore that dress. I was five feet away from it." 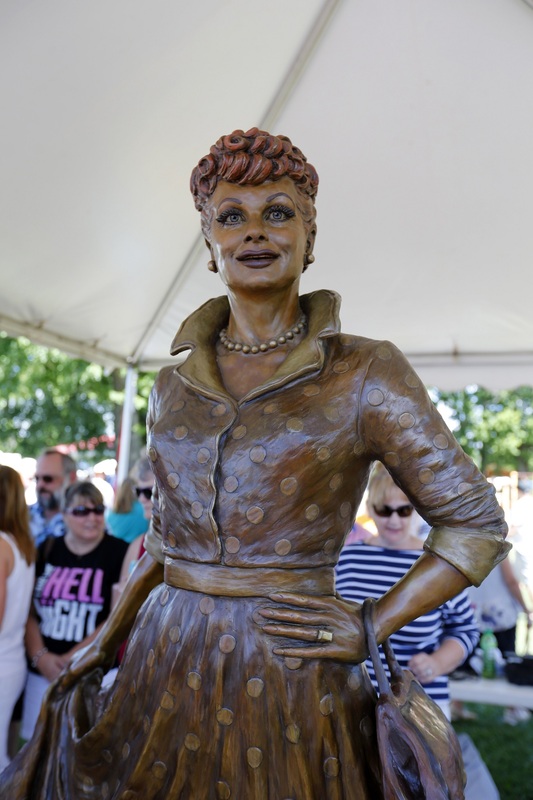 She also grew emotional seeing the unveiling of the new Lucy statue, taking a bus tour of Ball's childhood neighborhoods and visiting her grave in Lake View Cemetery. She is not alone in her emotion. "We get people from across the country and the world because they have such a strong connection with and admiration for Lucille Ball, for 'I Love Lucy,'" said Steve Neilans of the Lucy-Desi Museum. The connection is deeply personal. Lucille Ball's daughter, Lucie Arnaz, touched on that a few years ago in an interview with The Buffalo News. "The Lucy character was very childlike – like Baby Snooks, from the radio show it was taken from," Arnaz explained. "Lucy was always getting in trouble, but daddy always forgave her. One of the beauties of that show is the unconditional love. 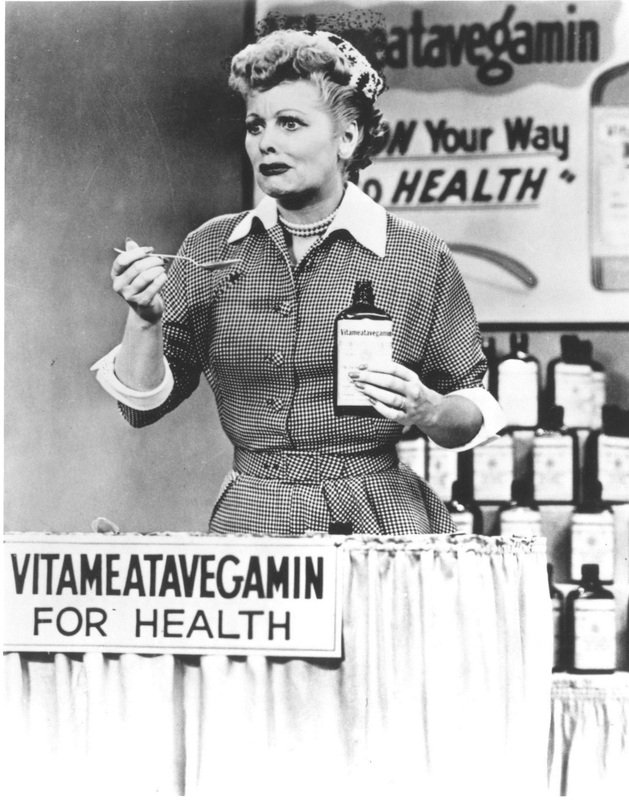 I love Lucy! I know she's crazy, she screws up, she gets into trouble, but I still love her. "And don't we all want that? Could we all stop being so angry when we screw up? So I screw up, let's not be enemies over this." Lucy, with her constant 'splainin' to do, speaks to the ditz in us all. No wonder visitors are so eager to put themselves in her shoes, squeamishly stomping grapes and frantically wrapping chocolates. "Those are big, big draws," Neilans laughed. 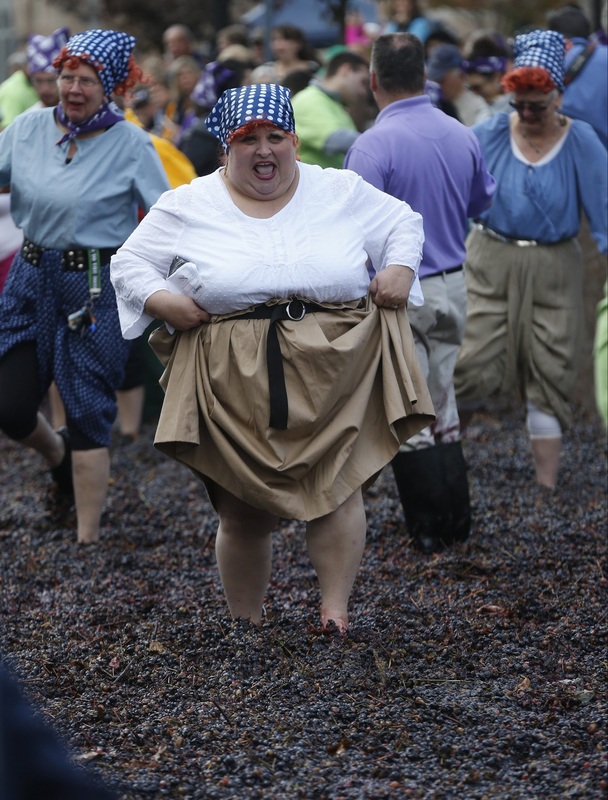 "We have a lot of people who come to town and if they see grape stomping, they have to do it, for sure. The grape stomping is a little messy, but you have to do it, if you want to do it all." And most people do, he has observed. "They want the full experience." It's out of the way, but that's part of the fun. He and Iannucci both have the same advice: Get to the festival early. Plan to spend a lot of time there. There is so much to do. Iannucci is overjoyed to be including the adventure in her book "The Film and TV Lover's Travel Guide," to be published in February 2017. "Jamestown's not New York City. People have to drive a distance," she said. "But it's so worth it. "To be around other people who love that show as much as you do, it's such a thrill."